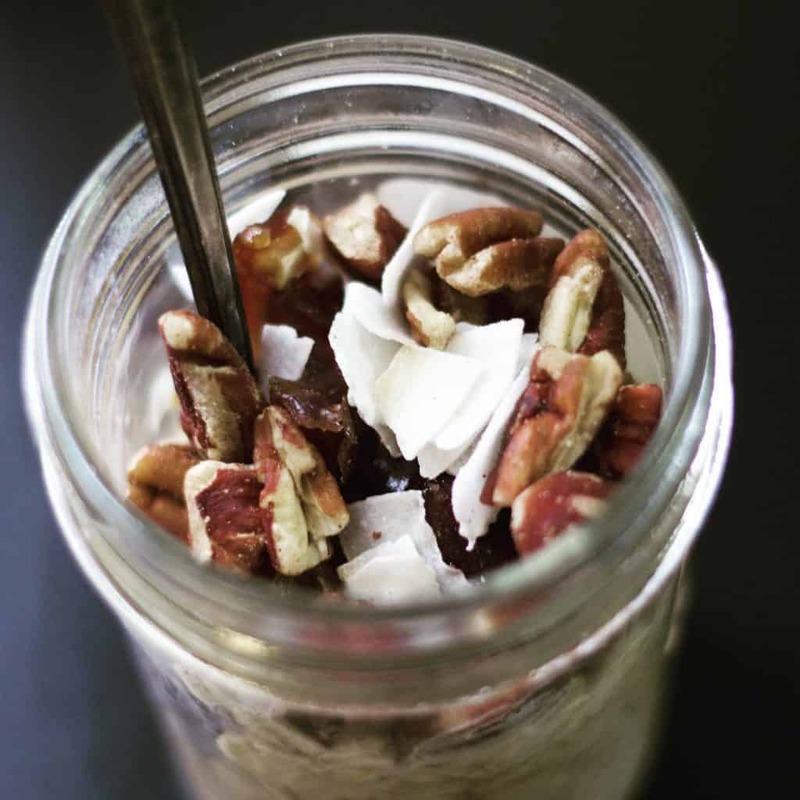 Have you been hesitating to try overnight oats? 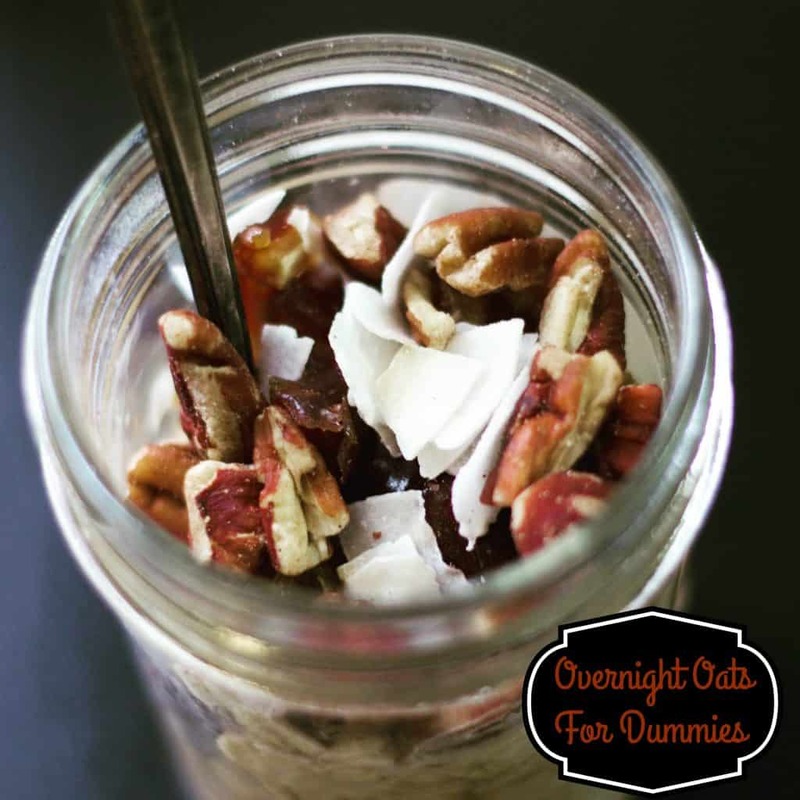 If so, these overnight oats for dummies are for you. I avoided the overnight oats craze for many reasons. 1.) If it’s trendy, I don’t want it. lol. Truth. 2.) Oatmeal and I are not friends. Except for the Quaker cinnamon maple brown sugar packets of instant oatmeal. Don’t judge. 3.) Overnight oats just screams MUSH to me. Ugh. All that being said, I am so sad that I have waited so long to get on board the overnight oats craze. Delicious. Not mushy. Not trendy. Just delicious. And good for you. And easy. 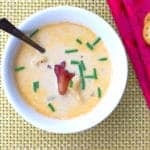 Once you make these for yourself just once, I promise you will be hooked. I have a cabinet full of mason jars and repurposed jam jars that are absolutely perfect for this breakfast project. 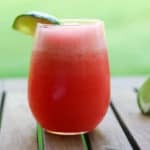 I like to use a half pint size – a half pint size seems just right for a breakfast serving but, if you tend toward the hungrier side in the morning, size up! I have made these overnight oats for dummies so many times and I have tried to measure but once you make these for yourself, you will probably never measure again. I like to fill my half pint jar about half full with oats. Maybe a little bit more. I drizzle honey over my oats before I add my almond milk and then top my oats and milk with my crunchy toppings. When you add milk, pour until the oats are submerged. Top with anything! 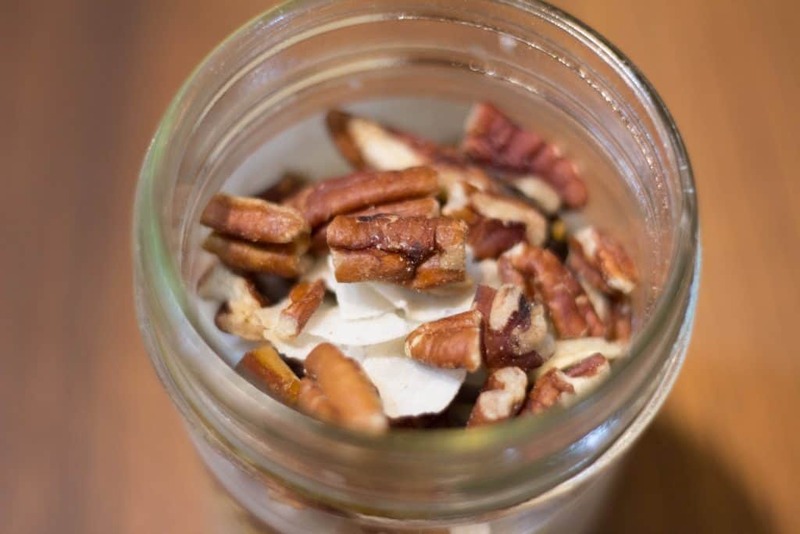 I like unsweetened coconut flakes, medjool dates, and pecans. You can add fruit, yogurt, peanut butter or another nut butter, chocolate chips, chia seeds, protein powder, anything! 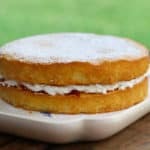 There is no wrong way to make these. Another great thing about overnight oats is that you can prep a few ahead of time! 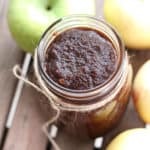 You don’t even have to eat them the very next day – if my kids don’t eat the ones I make for them, I gladly gobble them up later in the week. So … get on it. Make yourself or your kids some of these overnight oats. Send them to school. Bring them to work. Enjoy them with your coffee. Click here to see a quick video with the process. For some reason, YouTube isn’t letting me embed videos today! Are you making overnight oats yet? What are your favorite toppings? 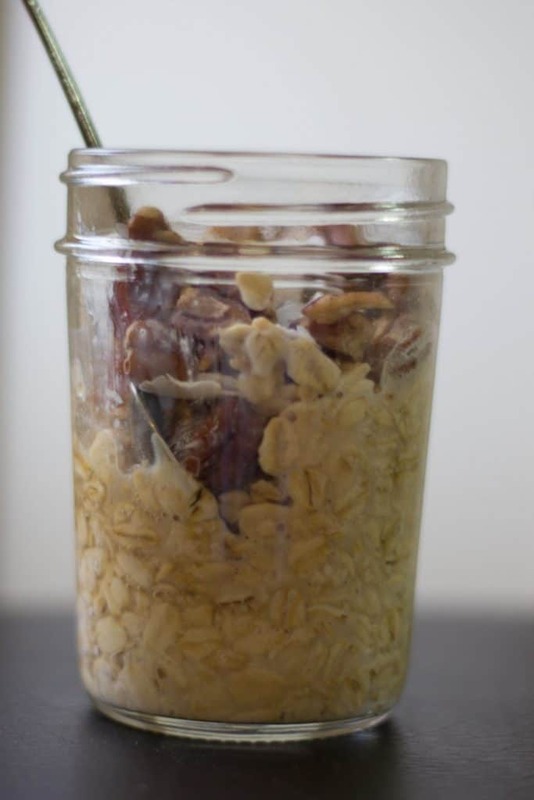 These overnight oats are so easy and super delicious! 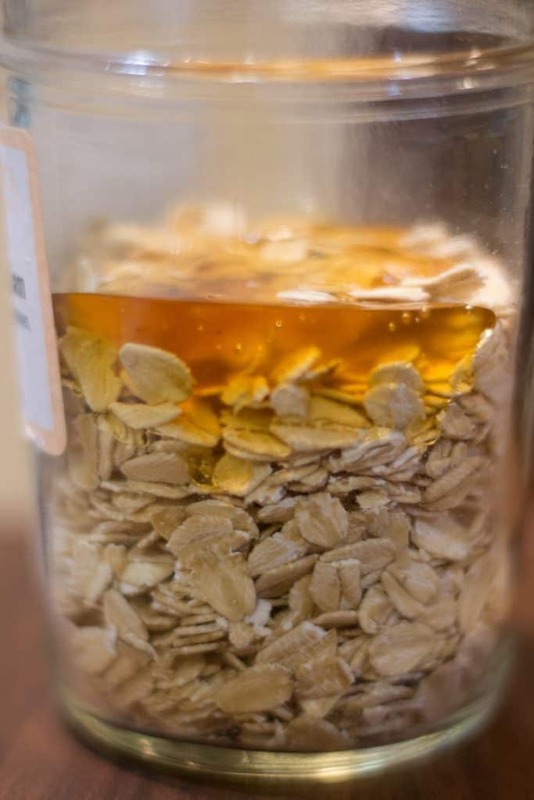 In a mason jar, add oats and then honey. Pour in milk until oats are covered. Top with dates, nuts and coconut. Put in fridge overnight. Eat the next morning! These overnight oats will last in the fridge a few days - make a few to save time later in the week. I will try them tonight…..they sound great. I hope you like them! Let me know!! i appreciate a quick and filling fix in the morning! 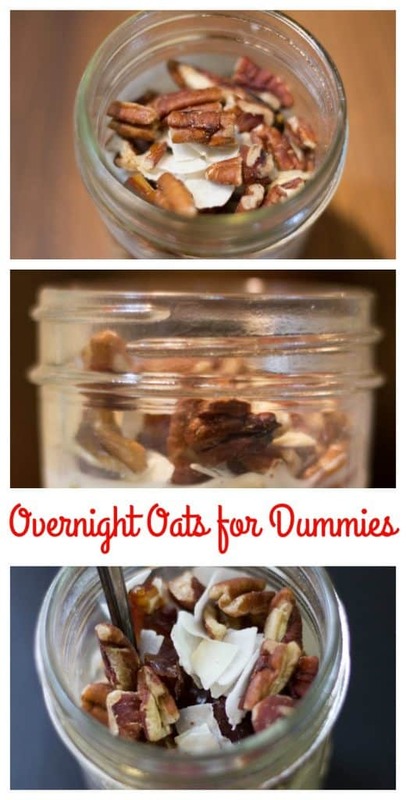 This is a great run down on overnight oats! I like mine with a ton of cinnamon and some peanut butter on top. Thanks, Alyssa!! One of my girls LOVES cinnamon. I will have to suggest that combo to her!